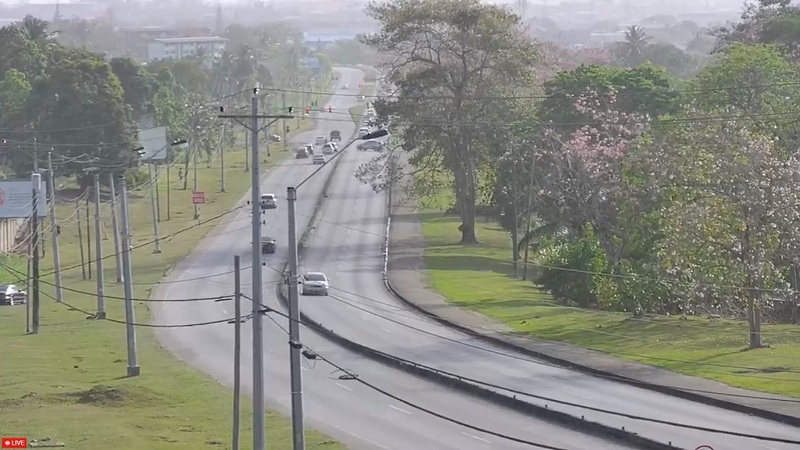 Photo via a traffic camera in San Fernando shows dust in distance. Saharan dust was forecast to blow over the island over the weekend. The Trinidad and Tobago Meteorological Service is warning vulnerable groups to continue to prepare against an onslaught of Saharan Dust. In its evening weather forecast, the Met Office urged people with respiratory illnesses to take precaution. “Hazy conditions are expected in both islands with Trinidad being mostly calm and Tobago having a light breeze. Tomorrow: Generally sunny and hazy conditions would prevail. Night will be clear but hazy. Note: People with respiratory problems are advised to take necessary precautions,” the Met Office said. Photos and videos shared to social media showed extremely hazy conditions after Met Office monitored dust levels which affected the islands over the weekend. 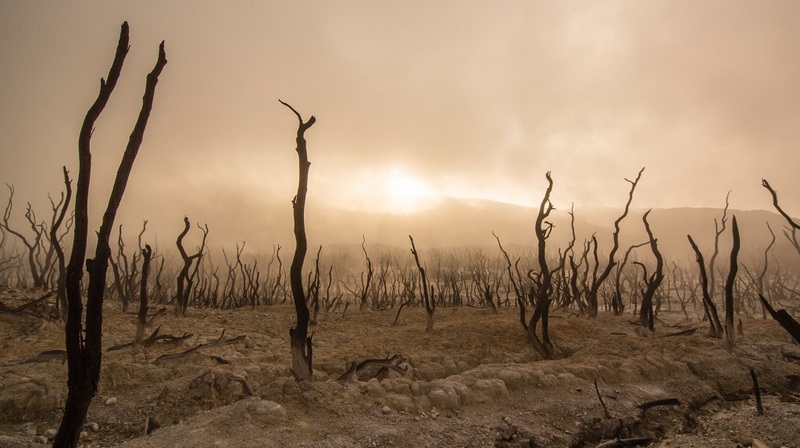 For vulnerable groups such as asthma sufferers, children and the elderly, these dusty conditions could be problematic. Healthcare professionals recommend saline spray, air purifiers, nasal irrigation other over the counter treatments to help treat mild symptoms of nasal congestion and irritation. 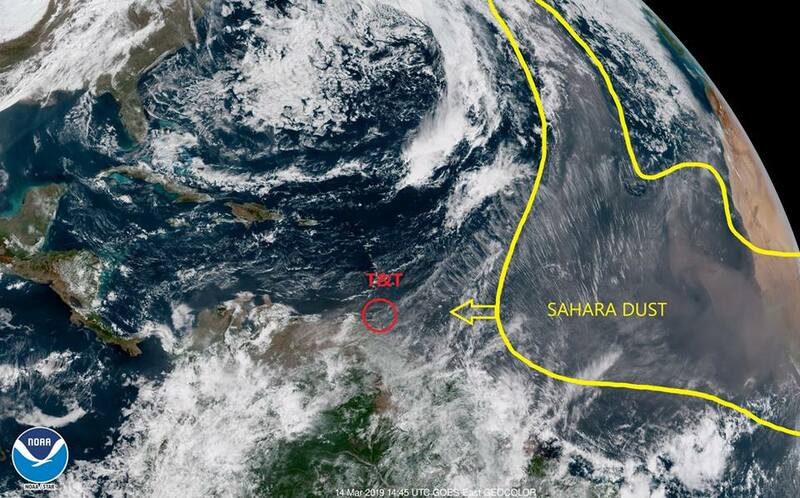 Saharan dust is a mixture of sand and dust from the Sahara, the vast desert area that covers most of North Africa. 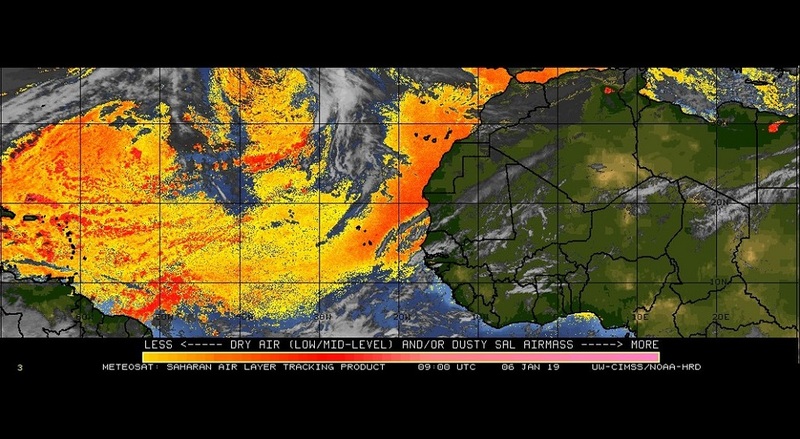 Saharan dust is composed of sand and other mineral particles that are swept up in air currents and pushed over the Atlantic Ocean to the Gulf of Mexico and other nearby regions. As the dust-laden air moves, it creates a temperature inversion which in turn tends to prevent cloud -- and eventually -- storm formation. It means fewer storms and even hurricanes are less likely to strike when the dust is present. Normally, hundreds of millions of tons of dust are picked up from the deserts of Africa and blown across the Atlantic Ocean each year. That dust helps build beaches in the Caribbean and fertilizes soils in the Amazon. It affects air quality in North and South America. It likely plays a role in the suppression of hurricanes and the decline of coral reefs as well.